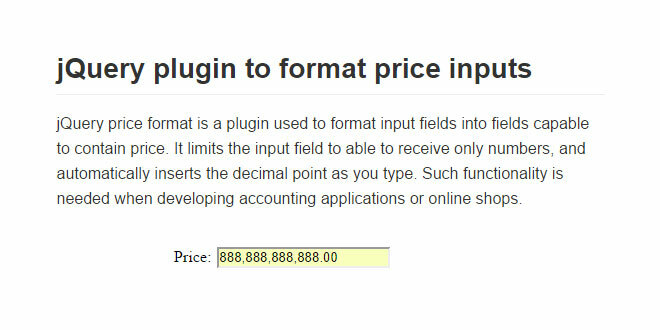 jQuery price format is a plugin used to format input fields into fields capable to contain price. It limits the input field to able to receive only numbers, and automatically inserts the decimal point as you type. 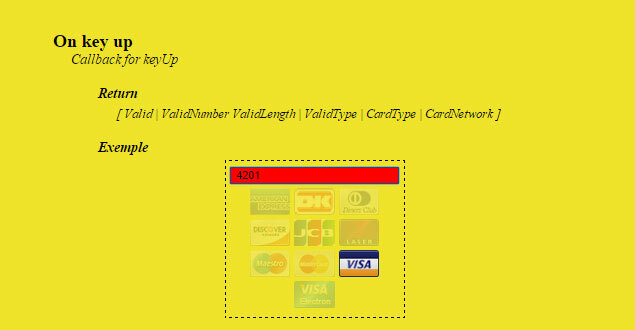 Such functionality is needed when developing accounting applications or online shops. 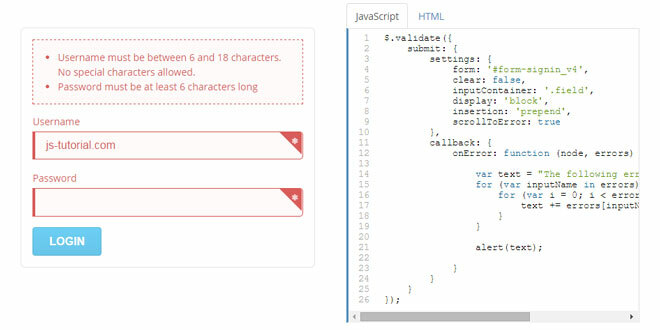 The plugin can accept few options either via the constructor or html data-* attributes. Specified either via defaultValue in plugin constructor or value attribute on the input field. 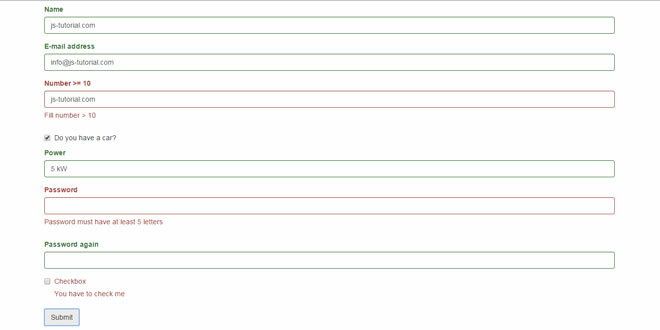 Decimals Separator char, default = . Specified either via decimalSeparator in plugin constructor or data-decimal-separator attribute on the input field. Sets the decimals separator character. Specified either via thousandsSeparator in the plugin constructor or data-thousands-separatorattribute on the input field. Sets the thousands separator character, default to null means no character will be used.